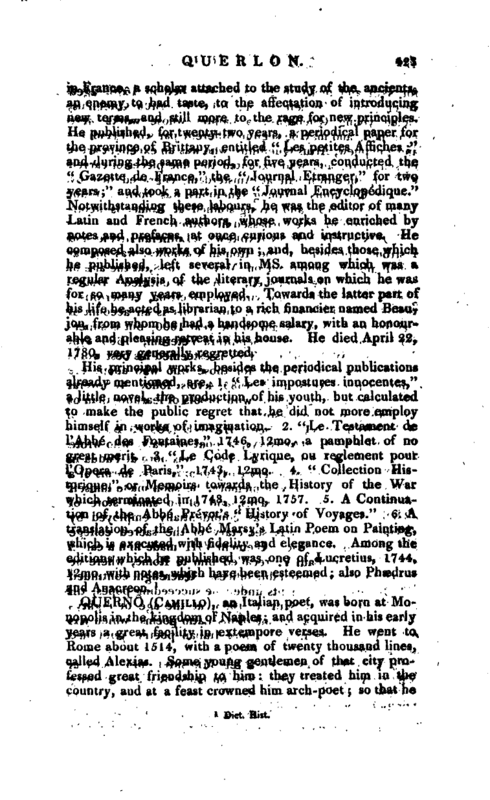 , born at Nantes April 15, 1702, was a journalist of some celebrity | in France, a scholar attached to the study of the ancients, an enemy to bad taste, to the affectation of introducing new terms, and still more to the rage for new principles. 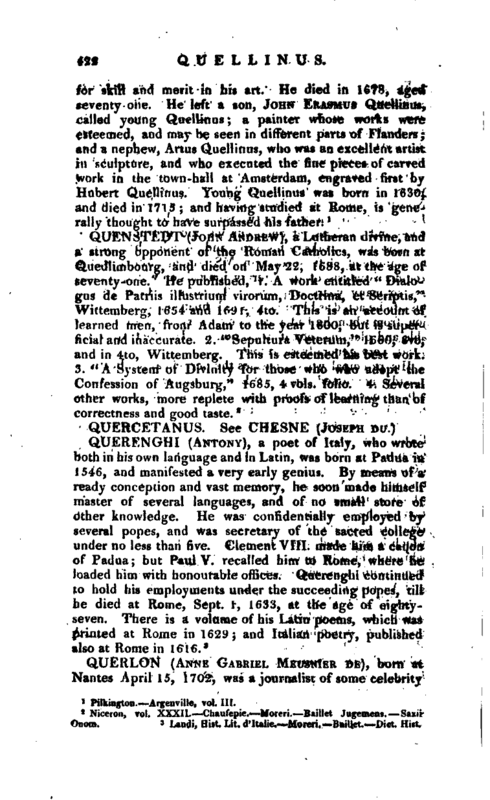 He published, for twenty-two years, a periodical paper for the province of Brittany, entitled “Les petites Affiches” and during the same period, for five years, conducted the “Gazette de France,” the “Journal Etranger,” for two years“and took a part in the” Journal Encyclopedique." Notwithstanding these labours, he was the editor of many Latin and French authors, whose works he enriched by notes and prefaces, at once curious and instructive. He composed also works of his own and, besides those which he published, left several in ms. among which was a regular Analysis of the literary journals on which he was for so many years employed. Towards the latter part of his life he acted as librarian to a rich financier named Beaujon, from whom he had a handsome salary, with an honourable and pleasing retreat in his house. He died April 22, 1780, very generally regretted.